Preening is how birds keep their feathers looking clean, waterproofed and in flying condition. Healthy birds spend a great deal of preening because having neat feathers is very important to a bird’s survival. Feathers keep the bird insulated, weatherproofed, and they even help a bird find a mate. A preening bird looks like he is “bothering” his feathers with its beak. What he’s really doing is removing debris and breaking up powder-down feathers, which grow close to the skin, into powder that helps waterproof the feathers. With the exception of Amazon parrots and hyacinth macaws, the bird is also spreading “preen gland” oil through the feathers, which helps with waterproofing and acts as a precursor to vitamin-D production. While preening the bird “zips” up his feathers; each strand of each feather is like a little bit of Velcro that sticks to the others to form a tight, neat feather. See, there’s a lot going on with this preening business! Birds like to preen after a bath and after meals. You will notice the bird shake out his feathers after preening and may see a cloud of dust emanating from the bird. This is part debris and part powder down. Some birds, like African greys, cockatoos and cockatiels, have a lot of powder down. Regular bathing can reduce the amount of powder down your bird generates. Paired birds and those in a family flock will preen one another; this is called allopreening, which not only helps keep the birds tidy, but reinforces their bonds. A bird that isn’t preening might be ill or extremely uncomfortable in his living situation. A tattered and ratty-looking bird that has stopped preening needs to see a veterinarian right away. Eye Pinning In parrots with light-colored eyes, you might notice the pupil dilating in and out when the bird becomes excited. This happens a lot in Amazon parrots, macaws, Poicephalus and African greys, but can happen in any parrot. Eye pinning means a heightened excited state — this isn’t a good time to stick your finger into your parrot’s face — you might just get a nasty bite. Tail Flaring Birds shake their tail feathers after preening or to release tension, but tail feather flaring is different; this is when the tail feathers are flared out like a fan. Amazon parrots are prone to this, but other types of parrots do this as well. This indicates an excited state, and often appears with eye pinning. Beak Clicking The clicking of the beak can indicate an excited state, but can also be a warning to stay away. Feather Fluffing A bird will ruffle and fluff his feathers after preening to remove debris and will also fluff his feathers when it is cold. If a bird has his feathers continually fluffed, the bird may be ill and is trying to keep warm. Beak Wiping Birds will often wipe their beaks on perches or the cage bars after eating to remove debris, such as food. Crest Position Some birds, like cockatiels, cockatoos and hawk-headed parrots, have crest feathers that the bird raises or lowers to indicate emotional state. If you have one of these types of birds, watch to see what prompts the bird to raise its crest; is it excited, fearful or happy? Shivering Birds shiver and shake after taking a bath; their breast muscles involuntarily contract and expand to create body heat. A bird may also appear to shiver when he is very excited. Quaker parrots are known to “quake,” which is how they got their name. Flapping Wings Birds often hold on tight to the perch and flap their wings madly as if wanting to take off in flight. They do this for exercise and when they’re happy, and it can also be part of breeding behavior. Head Bobbing Head bobbing can indicate that a bird is anxious to go somewhere, or perhaps he is regurgitating to you in an effort to bond with you. Very young parrots bob their heads a lot, as do quaker parrots. Head Shaking African grey parrots shake their heads a lot, as if something is in their ears. It is not certain why they do this, but it’s a normal behavior for this species. Beak Grinding Many healthy birds grind the beak just before drifting off to sleep. This is a normal behavior, and though it’s not certain why they do this, it is definitely a sign of being content and comfortable. Preening Birds preen continually throughout the day to keep their feathers clean and neat. Preening is never a problem until it becomes “over preening” and you notice that your bird is actually chewing or plucking out feathers. Regurgitating Regurgitating is when an adult bird brings up partially digested food to feed a mate or chicks. Birds that are closely bonded to their humans will also regurgitate to their owner — a very sweet gesture, but quite unnecessary! If you want it to stop, you can thank the bird and then just casually walk away. Regurgitation is different from vomiting; a bird that’s vomiting is ill, and the vomit will likely stick to the feathers around the face and chest — this bird needs medical attention. Playing Yes, birds actually play just like kids! Not all of their behavior is a function of biology. Birds are intelligent creatures that will look for something to do rather than just sit around in a cage, so it’s important to have plenty of toys available. Cat Napping Birds take catnaps throughout the day, which is completely normal, especially if the bird naps on a perch while standing on one leg. If the bird is standing on two legs with its feathers fluffed, he is either cold or possibly ill. Freezing In Place A bird that is afraid might freeze in place, not moving even a feather in hopes that he won’t be seen. This is because many predators’ eyes only pick up movement, so they have a hard time distinguishing inanimate objects. Hiding A bird that doesn’t want to be put back into the cage might hide at the back of the cage (on the outside) or find somewhere else to hide — who said that bird brains aren’t smart? Aggression Yes, sometimes aggression is normal behavior. Some birds get hormonal in the spring and may try to protect their cage. Others may not like a certain way of being handled, or are perhaps acting out of jealousy. Whatever the case, aggression always has a cause and can be quelled once the cause is discovered and handled appropriately. Egg Laying Female birds (hens) can lay eggs with or without a mate present. This is normal behavior, and should only be stopped if the lone hen lays too many eggs and spends too much time tending to eggs that will never hatch. You can prevent hormonal triggers by decreasing the amount of light your bird receives to less than 12 hours a day and removing any perceived nest sites. Begging Some birds revert to “baby” begging behavior to get what they want, especially if it has worked in the past. This includes getting into a crouched position, scrunching the wings up, bobbing the head and making chick noises. You can limit this behavior by not indulging it, even though it can be kind of cute, at first! Chattering Small birds chatter throughout the day for various reasons. Most birds are the most vocal at dawn and dusk, when they’re getting ready to feed. Some small birds will even chatter in their sleep during the day, a protective adaptation to show predators that they are awake and alert, not catnapping and vulnerable. Screaming Some parrots scream and screech, which is normal to a degree. Parrots that scream the loudest are those that tend to mingle in mixed groups, like many of the South American species. They have to be loud to be heard over the din of so many voices. Species that tend to stick together in a single-species flock are often quieter — not necessarily less persistent, but slightly lower in volume. These include many of the African species. Contact Calling You may notice that your bird seems to “call” you persistently and won’t quiet down until you enter the room. In the wild, this is called “contact calling.” Birds like to know where their partners are, so they call loudly expecting that the other will call back. This helps partners locate each other and affirms that both are safe. Your bird may want to participate in “contact calling” with you. It’s really easy — if you sense that your bird is calling you, either by screaming or whistling, simply call back that you’re okay. You can make a game of it. This helps the bird feel secure and will usually quiet him down after a few calls — well, depending on the bird! Talking & Whistling Many parrots can learn to mimic human speech, and some can even learn to understand what they are saying and use words in context. You can’t really “teach” your bird to talk; either it will or it won’t. The best you can do is talk to the bird a lot and repeat specific words and phrases that you’d like him to learn. Birds are confounding sometimes; it’s likely your bird will learn something you didn’t want him to! If your bird doesn’t learn to talk, it doesn’t mean that he isn’t smart; perhaps he is not of a species that can learn to talk. Also, the females of some species are less likely to speak than males. Hissing & Growling Cockatiels and African greys are known for hissing and growling when they feel threatened. If a bird hisses and growls at you, back off. This means that the bird feels cornered and may lash out to protect himself. Rule #1 The first rule in teaching a bird not to bite is not to get bitten. When a bird bites, he usually gets what he wants from the action — you will go away and leave him alone. You will also make a big fuss over the bite, which can be attractive to the bird, an animal that loves drama. Rather than reinforce the behavior, just don’t let it happen. Learn to “read” your bird so that you can assess the situation and get out before the bite happens. Fear Biting You can hardly blame a bird that bites out of fear, even if the fear is unfounded. Look at the world from your bird’s perspective and try not to put him in situations that will frighten him. Hormonal Biting In the spring when the days get longer, some birds are prompted into breeding mode and may become territorial of their housing area, of another bird, or of a person in the household. This can usually be dealt with by adjusting the amount of light the bird gets a day to less than 12 hours. Jealousy Biting Sometimes, a bird will love his person so much, and then suddenly chomp down on him or her when someone else comes into the room. This actually has practical application in nature, although it is unpleasant. In the wild, a member of a pair will shoo away their beloved when another bird, a threat to the pair, flies into the territory. The “jealous” bird is simply protecting their mate and their relationship. If you know that your bird does this, make sure that you can put him down before someone comes into the room, and don’t ever allow this bird to ride on your shoulder. Molting Some birds become irritable when they are molting and may not be feeling 100 percent. The same goes for birds that are ill or injured. Counteractive Biting Some birds bite to prevent you from performing or not performing an action, for example a bird that bites when being brought back to the cage because he doesn’t want to be locked in. As an aside, some birds that don’t like to be put back into the cage pretend that they have wobbly legs and that they can’t stand up just as you put them away — what a great tactic for not stepping onto a perch! To prevent “put away” biting, don’t put your bird away every time you pick him up. Instead, do something fun, or play a little game before you put your bird away; mix it up so that the bird isn’t sure what’s coming next, and make it fun! Try To Figure Out Why The Bird Is Screaming. Is the bird lonely because he is not getting enough attention? There may be a simple explanation for the noise. If the bird is lonely, give him more attention! But be sure to give him attention only when he is being quiet. This way you don’t reinforce the noise. Has The Bird Learned That You Will Come Running When It Screams? Many birds come to realize pretty quickly that screaming gets their person’s attention. Many people run to a screaming bird to shut him up, especially when the rest of the family is protesting the loud mouth’s presence in the house. Rather than be at your bird’s beck and call, notice quiet moments and give your bird attention then, rather than when he is screaming. Has The Bird Learned That You Will Lose Your Temper When It Screams? Birds love when their people lose their tempers; then they scream back! How much fun! Try to remain calm and mellow, and just walk away from a screaming bird and give yourself a timeout. Lower The Noise In The House. Is the bird competing with other household noise? Is the TV and the radio on, are the kids screaming, and are the dogs barking — all at the same time? If so, your bird is just trying to be heard above it all. Turn down the volume in the house. Is The Bird Screaming For A Mate? A bird that starts screaming in the springtime might be calling for a mate. This should subside in the fall. In the meantime, give the bird some attention, especially when he is quiet. Cover The Bird. Covering the bird is a “quick fix” for screaming. Yes, it will stop the screaming for the time being, but it will not prevent future screaming, nor will it teach the bird not to scream. Birds are instinctively quiet at night, when most of their predators are prowling and they are most vulnerable. It is not appropriate to cover a bird for long periods during the day, so consider this if you’re regularly using this tactic. A bird that is plucking or chewing his feathers has any number of issues that need to be addressed before the behavior can change. Plucking often has a precipitating incident that causes the behavior, but it can also stem from medical causes. In some birds, the plucking becomes an entrenched habit that is difficult, even impossible to change, but it is possible to modify the behavior once you find the cause. First, you have to get to the root of the plucking, which isn’t always possible. 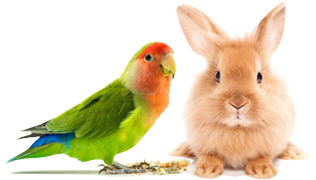 The very first thing that a plucking or chewing bird needs is a complete medical evaluation. The bird may have a skin problem or infection that is causing the behavior. Also, where the bird is plucking is important. Birds with respiratory infections tend to pluck around the chest, and birds with leg or foot issues pluck in that area. If your bird comes back with a clean bill of health, then it is time to start looking for environmental causes. Is the air very dry in your area? Perhaps the bird needs more baths to keep the skin moist? Has there been a change in environment? Have you moved the bird, or have you moved something “scary” or disturbing into the bird’s immediate area? Birds have been known to start plucking over simple things like the presence of balloons, a new computer monitor or new artwork. Have you painted recently or put down new carpet? Both contribute to poor air quality, which can precipitate plucking. Has the bird recently lost a mate or a birdie friend? Has someone moved into the household whom the bird doesn’t like? Poor nutrition can also cause plucking behavior. Nutrition contributes to a bird’s overall health, and when his health is compromised, so is his behavior. It is thought that plucking birds may need a protein and vitamin boost, which may stop the behavior. Nutri-Berries and Avi-Cakes are two balanced diet foods that also encourage foraging for good mental health. Is the bird bored? Perhaps the plucking or chewing behavior is simply an effort to find something to do. A plucking bird should be offered a lot of toys, especially preening and soft-rope toys; ideally, the bird will turn the over-preening behavior onto his toys. Also, foods that encourage foraging minimize boredom. Is the bird hormonal? A frustrated bird may turn to plucking behavior to relieve a little bit of his energy. The bird may also be frustrated that he doesn’t have a mate or another bird to preen with. Has your routine changed? Is the bird getting enough attention? Is he getting enough sleep? Remember, birds are creatures of habit, and they like routine. Sometimes the addition of an infant or a new pet to a home causes plucking, because the bird is no longer the center of attention. If you have a plucking bird, try every remedy possible — nutritional, environmental, behavioral — something may work. There has been a lot of success with changing this behavior simply by offering the plucking bird more nutritional foods and supplementing the diet with appropriate vitamins and minerals. There’s a phenomenon among captive parrots often called the “one-person bird.” These birds closely bond to one person in the household and may shun the rest, even becoming aggressive to anyone who isn’t “their” person. This is actually quite normal behavior, though it can be heartbreaking to the people whom the bird shuns, especially if the bird was supposed to be a certain person’s bird; for example, a wife brings a bird home to be her companion, but the feathered traitor likes the husband instead. To make things even more confusing, alliances can even change over the years. A bird that is closely bonded to the husband may suddenly decide that he prefers the wife. Birds can even shun a beloved owner for a houseguest! There’s no telling what’s in those birdie brains. One theory is that birds are genetically predisposed to eventually move away from family members to find birds that don’t share their genes. So, if a bird is hand-fed by a woman or bonds to a woman as a youngster, it is possible that the bird will grow up to prefer men. You can’t choose which person in the household that your bird is going to prefer, but you can try to prevent this behavior in a very young bird by having lots of different types of people handle the bird, and have all family members offer the bird equal attention. The good news is that not every bird is predestined to become a “one-person bird.” Some birds are naturally friendly to just about everyone. Mature birds tend to become hormonal once a year in the spring, when the amount of natural light is longer than the amount of darkness. Birds are “photosensitive,” meaning that are sensitive to light and its cycles. Some birds don’t show much change when the spring comes, and others may become sullen, aggressive, unusually loud and territorial. Some may lay eggs even if there is no mate around, and some will set out to create a nest out of whatever it can find. When your bird is behaving hormonally, it’s important not to handle the bird in a way that can be misconstrued as mating behavior. This includes petting down along the back and encouraging regurgitation behavior. If your bird is in a hormonal phase, remove anything that can be viewed as a nest, including all huts and boxes. Don’t encourage nest building. If you do, the only thing you’ll have on your hands is an aggressive bird that is intent on defending its nest. If the hormonal behavior is out of hand, e.g., your bird won’t allow you near his cage and/or bites you savagely, you can try to temper its hormones by limiting the amount of light he gets per day to less than 12 hours. Ten hours of light per day should help the hormones subside. In any case, once fall comes and the clocks change, your bird’s hormonal behavior should begin to dissipate naturally. Sudden fear is an unusual and baffling behavior that startles and concerns bird owners, especially since it seems to come from nowhere, literally overnight. The once gentle or gregarious parrot is now intensely fearful of his people, of being handled, or of being taken to a place where he has been hundreds of times. There is no good explanation for this behavior, so the first thing you have to rule out is a medical condition. The bird may have injured himself or is having pain and will do anything to avoid being handled. Sometimes the onset of fearful behavior comes when the bird reaches sexual maturity. The bird may view the world and its inhabitants differently now, and may become afraid of familiar things. Don’t take this behavior personally. The bird is reacting to some stimuli that probably has little to do with you. Don’t make a fuss and get angry, and don’t coddle the bird either. Most of the time this behavior will work itself out. If it doesn’t, consult a bird behaviorist after you’ve consulted your avian veterinarian. Night frights happen when something scares a bird in the darkness, and he thrashes around the cage. This often happens to cockatiels, but it can happen to any kind of bird. Night frights are dangerous because a bird thrashing around a cage can severely injure itself. Most vulnerable are the eyes, blood feathers, feet and beak. If your bird has night frights, first try to determine the cause. Perhaps it is too dark in the bird’s room. If so, plug in a nightlight to see if that helps. Perhaps the room is too light, and the bird can see shadows or other pets moving around? In this case, cover the bird to see if the thrashing stops. Is the room where your bird sleeps peaceful, or are there interruptions and noise in the night? Someone getting up for a midnight snack is enough to prompt night frights, as are the glare of headlights through a window. A bird at night is very vulnerable, so it’s natural that the bird would be on the lookout for danger. If you’ve tried a few remedies and the thrashing continues, consider getting the bird a smaller cage to sleep in at night, which you can keep in a quiet back room. Put only a couple of perches and food and water dishes in the cage, and line it with towels at the beginning. Some people bring birds into their homes to act as entertaining companions, but it soon dawns on most people that it is not the bird that’s doing most of the entertaining, nor is “entertainment” the reason to have a bird in the first place. Birds are thinking, feeling beings, and are incredibly sensitive to their environment and the other beings in it. They can feel “vibes” and pick up mood changes. They try to “fit in” with the other members of the household as best they can. Some people think of their birds as feathered kids, and though it’s endearing to have the same feelings for a bird as you would a child, you are better off viewing your bird as an equal and as an adult. There are a lot of things you can do with a baby bird that an adult bird may not like. Birds mature quickly and will want to be treated with respect, so allow your bird to mature and develop a relationship with you on his own terms. When you live with a bird, you have to put the needs of the bird first, and make sure that he has everything he needs to thrive. Birds can be physically fragile, but they are also emotionally fragile as well. Birds are incredibly adaptable, but they don’t flourish when they are being ignored or treated poorly. Take some time each day to spend with your bird, and reassure him that your relationship is going strong. Remember, most wild parrots mate for life, and most aren’t on their own for very long, so your parrot is programmed to want company and physical attention. How Intelligent is Your Bird? Intelligence is defined as the ability to understand and deal with new or trying situations, the skilled use of reason, and the ability to apply knowledge to manipulate one’s environment or think abstractly as measured by objective criteria. Birds can do all of these things. Not only has research on parrots shown that they can think abstractly and problem-solve, wild birds have been observed using tools and manipulating their environment to get food. It used to be thought that only primates had the ability to acquire complicated language and abstract thought, but parrots can as well. How intelligent your bird is depends on the species and the individual. To date, the only species that has been thoroughly researched for intelligence is the African grey parrot. Scientist Dr. Irene Pepperberg and her African grey parrot, Alex, worked on intelligence studies until Alex passed away in the fall of 2007 at 31 years of age. Pepperberg concluded that Alex had the intelligence of a 4-year-old child, with the emotional capacity of a 2-year-old. So, the level of intelligence isn’t clear when it comes to other species, but it can be assumed that some of the larger parrots have similar intelligence, and perhaps even the smaller species do, too. Speak with anyone who lives with a talking parrot and you will hear stories of how the bird says words and phrases in context. It’s quite amazing, considering that parrots pick up words and phrases just by listening and observing. There’s no parrot pre-school! Small birds like finches and canaries can do well in large cages, but even the smallest of parrots appreciate being allowed outside of the cage every day. Cage-bound birds can become very unhappy and can develop neurotic behaviors. This is sometimes called “cageosis.” The bird will pace along the perch and swing his head from side to side, or bob his head and scream. Being constantly trapped in a cage, especially one that is too small, can also lead to plucking behavior and certainly too loud vocalization. Birds are meant to fly, so it is unnatural for them to be caged. They are adaptable and will get used to it, but that doesn’t mean that the bird should be confined to the cage at all times. Provide your bird with a play area outside of the cage. It can be on top of the cage or a separate area in another room. Whatever the case, the bird should have some freedom without bars. If your bird doesn’t stay on its play area, move the area to another spot until the bird is comfortable. If the bird is following you around, try placing a play area in each room. Fill the play area, whether it’s a play gym or stand, with lots of toys and shredding material, as well as food and water. There is no time “rule” for playtime outside of the cage. Essentially, the more time you can occupy your bird, the better his quality of life. So, don’t put limits on playtime. If your bird likes to be handled, make time each day for hands-on contact. Some birds may become distraught if they don’t get enough one-on-one time with their favorite human, and others can even lose their companionability and may “revert” to being a bit wild. Always handle your bird gently and with confidence. Even if you’ve been bitten before, try not to show that you are afraid. This is a mistake that some people make, and it can ruin a relationship with a bird. Once bitten, twice shy, yes — but remember that the bird is a feeling being and perhaps the bite was warranted. Try not to engage in rough play with your bird. This makes the bird think that he can be rough right back, which can result in a bite. Then you’ll be angry at the bird, and he won’t know what he has done wrong when playtime is abruptly stopped. Many birds like to be stroked around the head and neck. Some will even appreciate your help in gently removing the sheaths around new feathers growing in that area since the bird can’t get to them himself. Pet the bird gently against the “grain” of the feathers to get to the skin beneath, and rub the bird’s cheeks in soft circles. Many birds really enjoy this kind of touching. Birds don’t need to be handled all day, but they do need to be kept company for a good part of the day. You can give your bird “indirect attention” simply by allowing your bird to be in the room with you as you do your chores or work. Your bird will be happy spending time with you even if you are not holding him all the time. Indirect entertainment is anything outside of the bird’s reach that keeps him occupied. For example, having a TV or radio on is a comfort for a lot of birds. A bird’s environment in the wild is never quiet. In fact, stillness and quiet can be stressful on a bird. So, a little background noise is always appropriate. Parrots also appreciate visual stimulation. Perhaps putting the bird where he can see outside the window would be entertaining. Placing the parrot in a lively room can also make him feel part of the action. A TV room or family room is ideal. People coming and going can talk to the bird as they pass and keep him entertained. A parrot sitting alone in a quiet room is a lonely parrot indeed. Bird sitting DVDs are becoming popular now. Many of them show birds in the wild (and in captivity) interacting with each other, making noise and playing. It’s not certain that birds actually watch the DVDs on the TV, but they will at the very least appreciate the noise. Giving a parrot the attention and focus he requires can be a lot to handle. Often, getting the bird a birdie “friend” can take away some of the established bird’s loneliness. Some people feel that birds should be with other birds, and some hormonal birds even demand it! The biggest pro to getting your bird a friend is that the pair will never be alone and will keep each other entertained — well, in a perfect world that would be the case. The biggest con is that your established bird will no longer want to have such a close bond with you. Ideally, a new bird will get along with your established bird, but there are a lot of things that can go wrong, too. The birds could actually despise each other. What will you do then? Now you have just doubled your problem. The birds could be indifferent to each other; again, double the trouble. Now you have to split your time between two birds. It is never a good idea to buy a bird for another bird unless you know that the two will bond. Remember, both birds are your responsibility, and double the birds means double the mess, noise and bills. Only buy another bird “for” your current bird if you’re able to take on another companion. I can honestly say that all of your products I have tried to date (from Avi-cakes to Nutri-Berries ) have more than lived up to expectations regarding how they are described and what they are marketed to provide concerning both nutrition and stimulation for my bird. This is both rare and uncommon and I believe thousands of pet birds worldwide are better off today due to the excellent products Lafeber manufactures. So for all of this, Rosie and I thank you! Thank you for the samples that you sent me, they arrived safely last week and I thought I would send you a picture of one of my birds. This is Harley, she is only six months old and loves your treats. My other conure, Ziggy, was a little camera shy that day and kept flying off. Thanks again!